On March 21, 2019 the Belgian Air Component (BAC) bid farewell to its last operational Westland Seaking Mk48. The 40th Smaldeel has operated the helicopter for 43 years. Their main task was Search and Rescue (SAR), but also transport of wounded persons and organ transport to hospitals were part of their duties. The helicopters were based on Koksijde Air Base, situated in the south west of the country. In 1974 the BAC procured five Sea Kings, with serial RS-01 till RS-05, as a replacement of five Sikorsky HSS1 and seven S-58C helicopters. 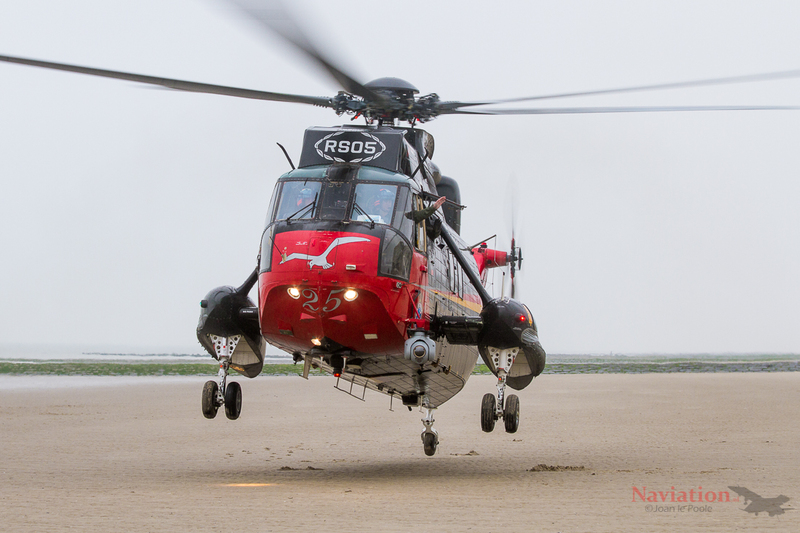 The Sea Kings were delivered in 1976 and completed almost 60.000 flight hours since. 3.309 SAR missions were executed, in which 1.757 lives were saved. 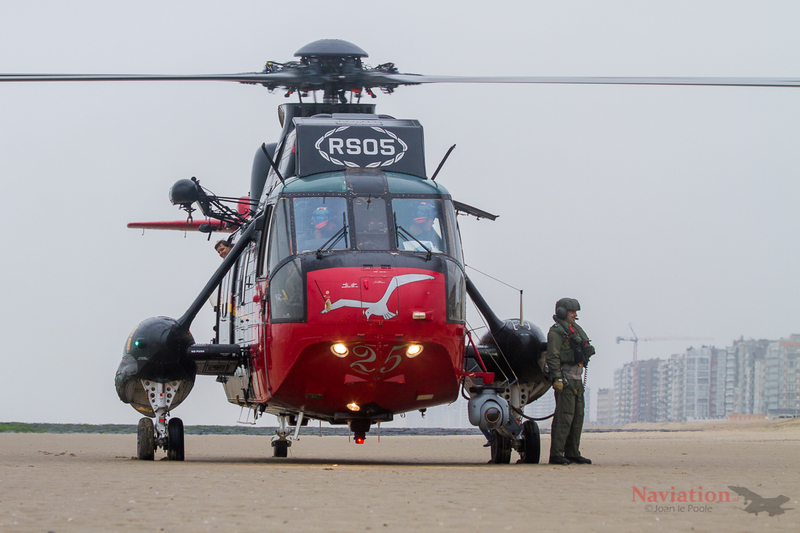 The last operational mission was completed on March 10, when RS05 was planned to fly a, its last, regular training mission, but had to scramble for a SAR operation above the Westerschelde, the Netherlands. The RS-01 was already retired on December 17, 2008, and then put on display in the Royal Army Museum in Brussels. On March 29, 2013 the RS-03 was retired and was used to provide components for the remaining three Sea Kings. A final three ship formation flight took place on 19 December 2018. Subsequently the RS-02 and RS-04 were retired on January 13 and February 15 respectively. The first of two final flights saw the RS-05 fly along the Belgian coast in the morning of March 21. The crew handed over a commemoration flag to the major of each coastal municipality and were waved farewell by hundreds of aviation enthusiasts, residents and school kids. 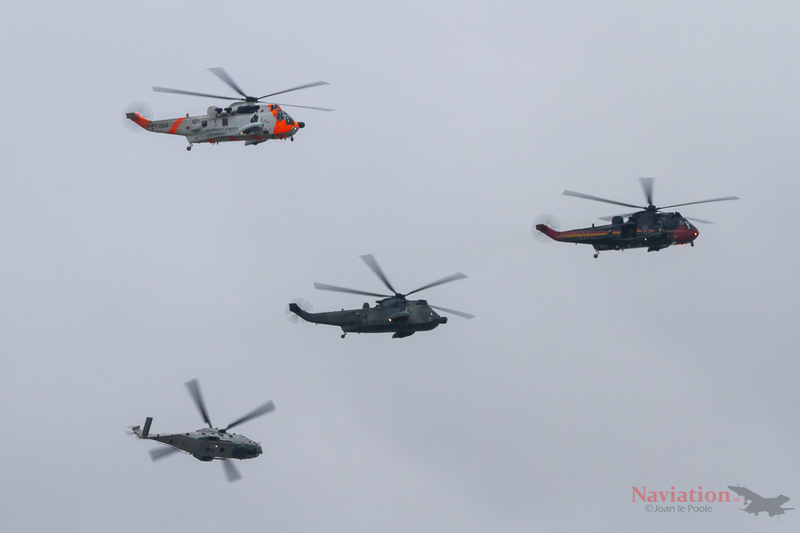 In the afternoon the Belgian Sea King was joint by a Norwegian and German Sea King as well as a 40 Smaldeel Aérospatiale Alouette III and a NH90 NTH (NATO Frigate Helicopter) for some final formation flights. On March 26 the RS-05 made another, yet short, flight. The helicopter was delivered to the VLOC (Vlaamse Luchtvaartopleidingscentrum, Flamish Aviation Training Centre) and will be used in the education of aviation technicians at the VLOC. Two NHIndustries NH90 NTHs, nicknamed 'Caiman’, took over the SAR role from the Sea Kings on March 11. 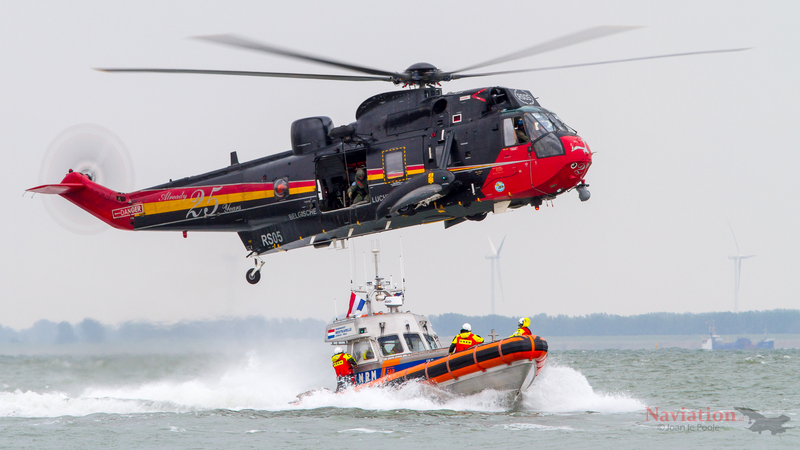 Flying the NH90 the 40 Smaldeel will continue to provide 24/7/365 SAR coverage in the Belgian coastal waters and beyond for the years to come. The Belgian Sea King landed on the beach for a last time to say goobeye.